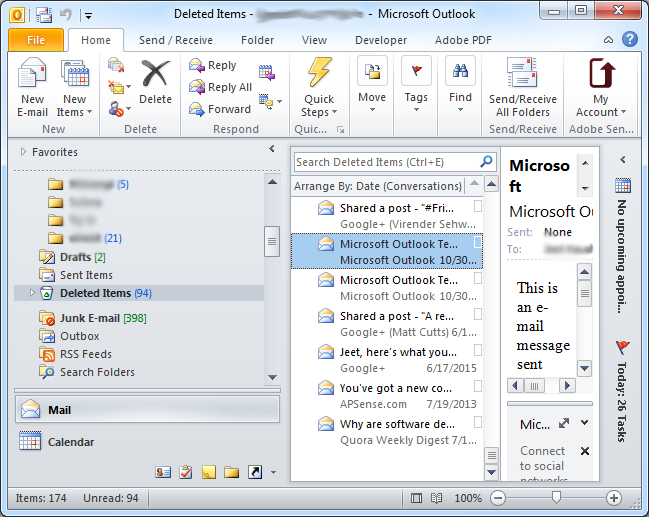 Being one of the commonly used desktop email client, MS Outlook is very familiar among several users for emailing purpose and using the inbuilt Office applications provided with it. However, there are situations when the user finds that their emails are present in Deleted Items Folder, containing messages that should not have been deleted. User needs to know when the message was deleted. 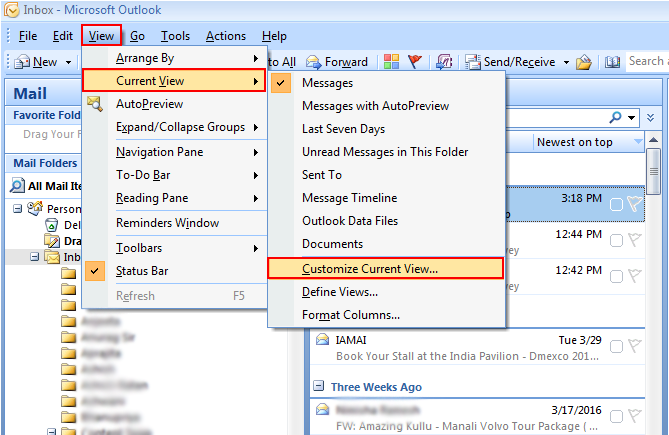 Since Outlook does not support any feature to check Date and time of the message deleted, the blog will be discussing way to find out when a message was deleted in MS Outlook. When the user of MS Outlook deletes a message from Inbox, Drafts, Sent Items etc. 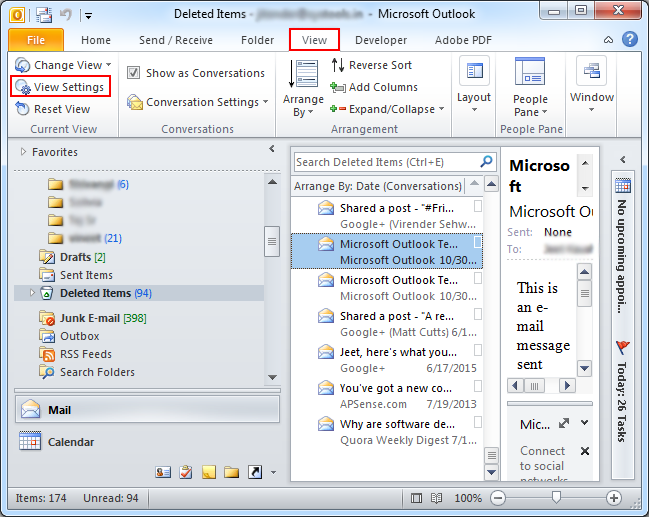 either by mistake or intentionally, the messages are moved to Deleted Items Folder in Outlook. 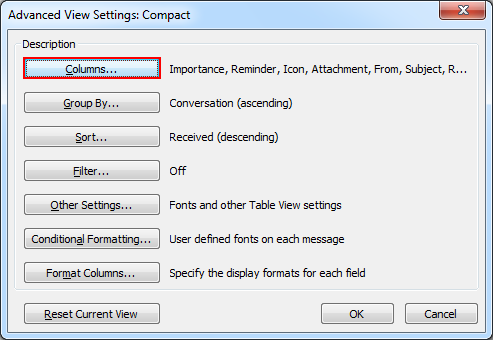 The deleted messages are available in 'Deleted Items' folder only for the retention period set by the user earlier. 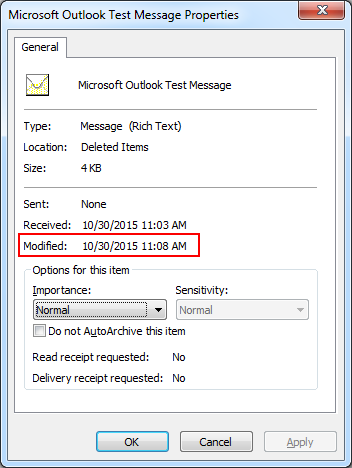 The Outlook does not support feature that tells user the date and time when the message was deleted, nor does it record from which folder the message was deleted from. 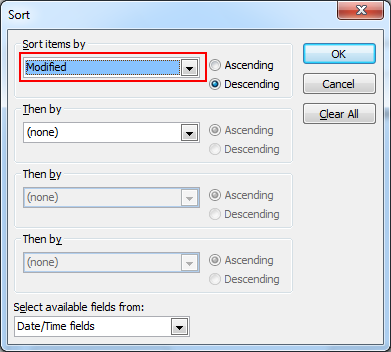 By sorting our Deleted Items folder by the 'Modified Date' field, we will be able to sort our Deleted Items Folder by 'Date Deleted'. Go to the Deleted Items Folder. 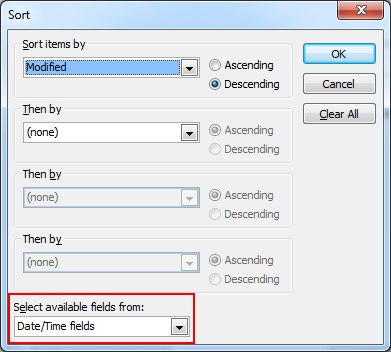 Select Date/Time Fields from the drop down list of the options . 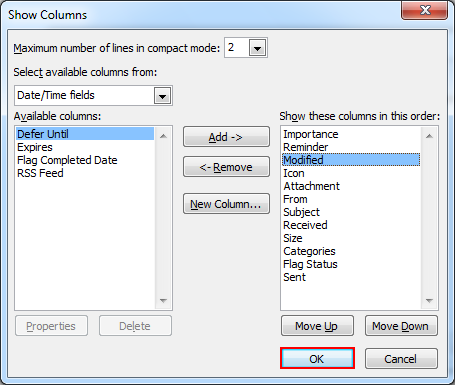 Select the Modified Field and click on 'Add' button. Press OK and then OK again to close all dialogs. The blog has been aimed to help Outlook users in determining the date and time when their message was deleted from their Outlook account and was moved to Deleted Items Folder. It further explains that with the help of Modified Feature in some types of account described in the blog, the user will be able to determine the date and time when the message was deleted. However, this feature is not supported when we are using POP3 account in Outlook or IMAP account in Outlook 2010 or earlier versions. If you are deleted this email permanently then a third party PST Repair tool helps you to recover.